There are various reasons to select polycarbonate over glass when seeking sheeting for your greenhouse. 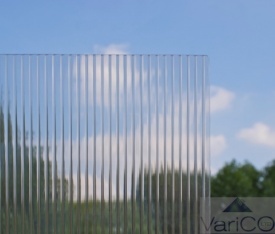 These reasons include polycarbonate's greater durability and lower cost. Therefore, polycarbonate can require smaller upfront expense while also staying intact for longer, even if hail or a badly-kicked ball makes sharp contact with the sheeting. The 4mm-thick twin-wall polycarbonate sheets that we offer are available to purchase as individual sheets and in packs. You can also choose from many different lengths and widths for the sheets. You should also be sure not to overlook the accessories that we offer for ensuring that the sheets can be firmly secured in place on the greenhouse. These accessories include galvanised 'W' spring clips that can be used for keeping glazing material secure in the frames of the majority of aluminium greenhouses. Therefore, these clips can come in useful if panels of your greenhouse have broken and you have bought new panels which you want to fit into place. These clips are available in packs of 50, 75, 100, 150, 200, 500 and 1,000. If, however, you are seeking to replace multiple panels that will overlap, you should instead choose 'Z' overlap clips. You would use these by sitting each on top of one glass pane before letting the second pane - the one that will overlap - slip into the clip's other slot. For each pane of glass, it is recommended that you use at least two 'Z' overlap clips. 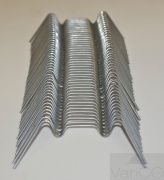 At Varico, we offer these clips as packs of 25, 50, 75, 100, 150, 200, 500 and 1000. Upon ordering any greenhouse accessories from our online store, you can anticipate them taking just a few working days to reach your address. We also offer a personal delivery service for getting items to West Midlands areas such as Bloxwich, Coventry, Solihull, Tipton and many others. You can learn further about the delivery options by reaching us by phone on 01922 455338.